The Treasure of HighTower - FREE TRIAL! 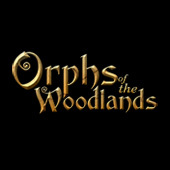 Encourage your child to learn with the interactive online reading experience, Orphs of the Woodlands. Get the first 100 pages free! Encourage your child to learn with the interactive online reading experience, Orphs of the Woodlands. Includes a 60 day subscription for up to 3 children. 30 day extension can be applied to any 3 students.